When you buy the equipment that is right for you, it can make a real difference to your quality of life, giving you freedom and independence. Whatever you need, this step-by-step guide is designed to help you make that right choice. You need to be sure about what you need. There may well be so much choice “out there” that the right product for you may not be obvious. So take advice and, if you can, try before you buy. If you need professional help, contact your doctor, who may refer you an occupational therapist, or for certain equipment recommend a physiotherapist or speech therapist. 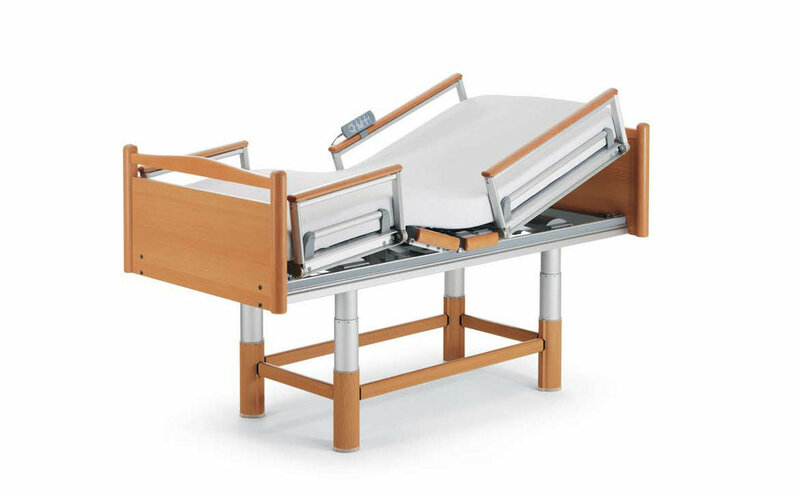 BaKare Beds are members of the British Healthcare Trades Association (BHTA). Implementing BHTA’s CTSI approved (Chartered Trading Standards Institute) code of practice demonstrates a desire to run a business in the most ethical and professional way.The BHTA codes of practise has been implemented by BaKare Beds for many years – BaKare’s reputation for high customer care was built upon practices approved by the CTSI. You need to know where to buy. Again, you’ll be spoilt for choice! You can find products in shops, stores and supermarkets as well as via mail order and the internet. If you are buying from the internet or via mail order, remember that whilst the prices may be keen, you can’t try before you buy, or discuss your requirements face to face. There are two useful website links which can spell out your rights on distance selling, and these are shown on the next page. Wherever you choose, try to have someone with you, like a friend or relative and do test and try the equipment before committing yourself. You need to know how much to pay. It makes sense to spend some time whether you need something as straightforward as a walking stick or a mobility scooter, spending a few pounds or investing thousands. You need real value for money: price is obviously part of it, but so are the quality of service, the assessment of your needs, the guarantees and warranties. Make sure that you understand the Terms and Conditions and the cooling-off period (if there is one), should you change your mind or have second thoughts. If you are disabled, you may not have to pay VAT, so check when you are buying. You may even get equipment free from your local council if you are eligible. A scheme runs in some parts of the country, where you can get a voucher or prescription to redeem at an accredited retailer. It could also be worth your while contacting your local council or Primary Health Trust (NHS) as they might have schemes to help. Unfortunately sometimes things do go wrong. Hopefully, with common sense and goodwill, matters can be sorted out amicably to everyone’s satisfaction before resorting to the law. If you have bought from a British Healthcare Trades Association company – and there are almost 500 member companies in the UK – you have the reassurance of the Code of Practice. All companies adhere to the Code, which rigorously upholds your interests. It is the only one in the industry to be approved by The Chartered Trading Standards Institute. Contact us for a copy of the “Get wise to making a complaint” leaflet which explains the steps that are involved, if you are dissatisfied with a product or service. If the company involved is is not a BHTA member, you should contact your local Citizens Advice Bureau through www.citizensadvice.org.uk or phone 0345 404 0506 (0345 404 0505 Welsh language). These are some of the organisations who provide information and advice. Quick and easy link to information about equipment for older and disabled people. Impartial advice and in-depth reviews. Grants are available through local authorities for house adaptations and equipment. The main sources are Disabled Facilities Grant (DFGs) in England, Wales and Northern Ireland; or an Equipment and Adaptations Grant in Scotland. You must apply before buying equipment or starting any work. Disabled Facilities Grants are available to disabled people who own or rent their home. They can also be paid to landlords on behalf of tenants. The grant is means-tested, so the amount paid depends on your income and savings. The authority pays the grant, but has to consult the social services department to find out if you need the adaptation or equipment and whether it will be appropriate for you. The whole process can take some months. Disabled Facilities Grants may be mandatory or discretionary. If the work is essential for you to be able to move around your home, you will be considered for a mandatory grant. You may qualify for a grant if (for example) your disability makes climbing the stairs virtually impossible, and if you need the stairs to reach an essential facility such as a bathroom. National charity providing independent advice on mobility aids, disability aids, daily living equipment. Certified as a producer of reliable health and social care information. Information about well designed everyday products. Information on products or services designed to enable independence for disabled and older people. Offering clear, practical advice, this is a website that let’s you read reviews of products and add your own comments. An independent consumer research charity providing free, practical and unbiased reports for older and disabled people. The BHTA represent almost 500 companies, all of whom commit to the BHTA Code of Practice, the only one in this industry to be approved by The Chartered Trading Standards Institute. BHTA member companies operate to higher standards of customer protection than the law requires.